In the heart of Africa, straddling the equator, bordered by a chain of lakes, sporting high-altitude mountains and covered to an extensive part in montane rainforest, lies Uganda - The Pearl of Africa. The country offers wildlife enthusiasts everything they could wish for: All the iconic animals of Africa are present, some with a twist - Queen Elizabeth National Park is one of the few places where you will see lions climbing trees! 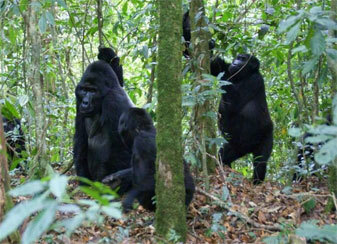 The rainforest birding is phenomenal, and there is of course an undeniable attraction that will make you trek deep into the Impenetrable Forest: An encounter with Mountain Gorillas in one of their last pockets of habitat, a special occasion to observe these gentle giants that are so similar to us. Another highlight of the trip is a visit to the Jane Goodall Institute, where you will have the chance to get close to Chimpanzees in the wild. 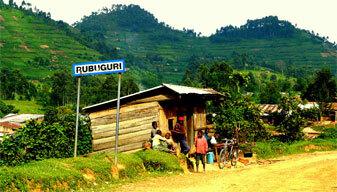 Uganda's artery of life, the Nile, originates in the country and will be our constant companion throughout the tour. We will cross the river several times on our journey, embark on a game viewing boat cruise right up to Murchison Falls, and the adventurous travellers have the option of rafting some of its rapids in Jinja, the adrenaline capital of Uganda. 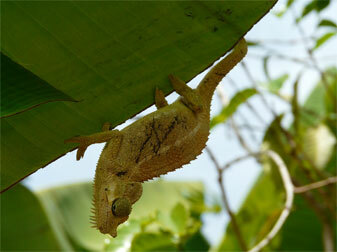 As Uganda, by and large, is covered in rain forest, it can rain at any time. Bad road conditions may deteriorate due to rain, so our clients need a flexible disposition and an open mind to best enjoy the unparalleled beauty this friendly country has to offer. The trip includes a professional guide, transfers, meals as indicated, park entry fees and excursions, including the gorilla permit. Not included in the price are flights, visas, drinks and gratuities. C = Camping, A = Accommodated | B,L,D = Breakfast, Lunch, and/or Dinner included. Today, your international flight will arrive in Entebbe, from where you will be transferred to Cassia Lodge in Kampala. Here, you will have time to relax by the pool and to have dinner (own expense) on a terrace overlooking Lake Victoria. Anthony Washford will meet you in the evening to give you an overview of the tour and to get better acquainted. 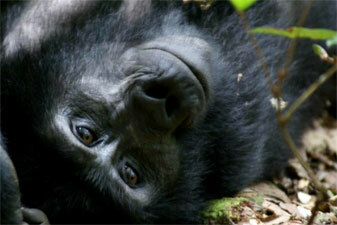 * Lake Bunyoni might be left out of the itinerary in case the limited gorilla permits will be issued for this day. Instead, we will spend one extra day in Bwindi exploring the village and looking for the magnificent birds that inhabit the forest fringe. Option: If you wish to take an extra day and travel on to Jinja, Uganda's adrenaline capital, to enjoy world-class white water rafting on the Nile, please let us know, and we will book it for you. 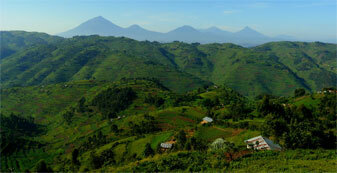 En route to Bwindi Impenetrable Forest, the Congolese Virunga volcanoes in the distance. Along the Congo-Ugandan border, we travel on dirt roads past terraced plantations of bananas and other crops on steep mountainsides. Mist often fills the valleys. Content copyright . AFRICANADVENTURESAFARIS.COM. All rights reserved.